Futurist and anti-aging writer Ray Kurzweil gobbles down 250 supplements per day. To us normal folk such measures seem excessive given the limited power of such interventions. 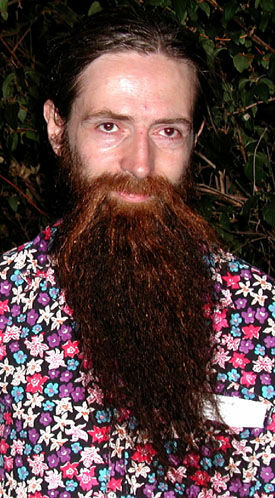 At the other extreme, contemporaries like Aubrey de Grey see little value in supplements. Often the truth lies somewhere in the middle. Supplementation won’t extend your lifetime but there is a good chance it can improve the quality of your life. After all, who wants to hang on to a miserable existence with a frail body? What we really need is a way to maintain our vitality and our youthful approach to living. There isn’t a more promising compound within the grasp of mere mortals. The scientific studies and evidence behind resveratrol continues to stack up. Findings have been largely positive although major pharmaceutical companies have funded unfavourable studies of questionable credibility. Resveratrol mimics the effects of caloric restriction, which to date is the only known way to slow down the effects of age-related disease in mammals. As a side effect of the way it alters metabolism, resveratrol fends off the threat of type 2 diabetes. This means that overweight people benefit from it more than thin, active people. Co Q10 is an anti-oxidant produced naturally by the body. Problems start to arise when production of Co Q10 slows down with age. At this point supplementation can make up for these losses. 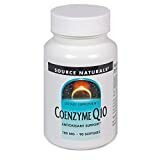 Patients with congestive heart failure, coronary artery disease, hypertension and a host of other coronary diseases tend to lack coenzyme Q10 in their body. Studies have shown that Co Q10 has managed to improve the condition of patients in the late stages of heart diseases previously thought of as irreversible. Of course it is best to use coenzyme Q10 to prevent problems in the first place. Omega-3 fatty acids have long been touted as an effective means to ward off coronary heart disease. It turns out that the benefits don’t stop there. 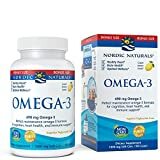 In 2010 researchers found that people with the highest levels of omega-3 had longer telomeres than people with low levels. At present it is believed that telomeres are an accurate way of gauging how much a person has aged. This new information suggests we may have more control over the aging process via lifestyle choices than previously imagined. Spicy Indian food is good for you, as long as you watch the oil and animal fat. The secret is found in a popular spice used to make curry: turmeric. It turns out that turmeric contains a compound called curcumin which is one of the most powerful anti-oxidants known. Curcumin has the ability to actively kill cancer cells that presently have no formal means of treatment. The evidence that curcumin is valuable as a cancer prevention supplement are piling up: the terms curcumin and cancer returns 1535 research abstracts of published literature. In animal studies it prevented oxidative stress in fruit flies resulting in long lifespans. Given, we aren’t sure we’ll get the same results as humans. Melatonin is commonly thought of as the sleep compound. It is naturally produced by the body and is responsible for making us feel tired at the appropriate times at night. Levels of melatonin decrease as we age which explains why senior citizens tend to wake up at ridiculously early hours in the morning. These seniors need more sleep but cannot stave off the urge to wake up due to the lack of melatonin. In addition, melatonin is an anti-oxidant that is safe to take at night. Other anti-oxidants such as resveratrol have the most positive effects in the morning, so this is a good way to keep your body protected from oxidative stress throughout the day. The science behind telomeres is fast becoming a pop culture phenomenon. Just about anyone interested in anti-aging interventions has heard about its effect on aging. People with longer telomeres are said to look and feel younger, regardless of biological age. A few years ago resveratrol was the talk of the town. However, when new research showed that resveratrol does more to improve quality of life than extend life span, the hype died down. The anti-aging community soon after found its new saviour. Coaxing telomerase into lengthening telomeres is the new hope for longer human lives. It turns out that humans do have a built-in mechanism to control the process of aging. The passage of time along with poor lifestyle choices wears down telomeres. The function of telomerase is to rebuild the tips of the DNA. The problem lies in the fact it can’t keep up with the damage. No matter how carefully you follow the direction of your doctor, eat right and exercise, the gradual decline of your genetic code persists. Mutations give us age spots, sagging skin and weaker organs. When our telomeres get too short, we die. Despite the lack of funding, a small group of biotech laboratories are working around the clock to find out what substances can lengthen telomeres. Companies such as Sierra Sciences in Reno, Nevada use sophisticated robots to test compounds. Their goal is find something that can effectively halt the aging process. So far the best compound they have found has reached 15.89% of this target. As the public, we have no idea what has been tested so far and what hasn’t. 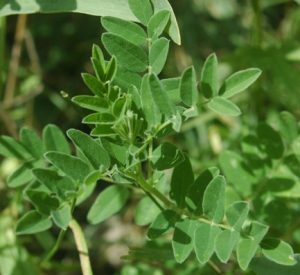 What we do know is an herb popularly used as complementary medicine is among the top performers; it’s called astragalus. The plant was known by the ancient Chinese to have a positive effect on the immune system. How interesting that all these years later, there is evidence to show they were right. 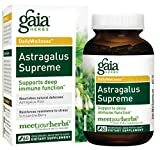 So does this news make astragalus the new super supplement every health-conscious person over 30 needs to take? Scientists are in disagreement. One camp, including nobel prize winner Elizabeth Blackburn, feels that there isn’t enough data in place to suggest astragalus can extend life in humans. More testing and clinical trials need to be done before it can be responsibly recommended. This is of course the default position of scientists: one of scepticism. The other camp, including Sierra Sciences founder Bill Andrews, feels that being overly conservative can cost us years of life that could otherwise be saved. 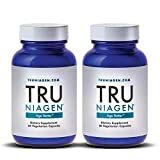 Although there isn’t conclusive evidence that astragalus based supplements like TA-65 work, we’ve got a pretty good hunch based on sound research. The only way you’d be able to tell if astragalus worked is if it was given to a large group of people from middle age to death. Tests of that magnitude aren’t realistic so we could be waiting for the data Blackburn speaks of indefinitely. It is important to note that run of the mill astragalus supplements don’t have much ability to extend telomeres, if any. The compounds that work are rare portions extracted from the plant: astragaloside IV or better yet cycloastragenol. Some readily available supplements have traces of astragaloside IV, check the label. Keep in mind that such tiny dosages won’t do much good. The only products with promise are cycloastragenol from RevGenetics and TA-65 from TA Sciences. Prices are shocking to the casual supplement-popper, so chances are most will be waiting on the wings until more studies are published and more options are available. Prior to the 20th century tanned skin was associated with the underprivileged class. It was easy to spot who worked in the fields. Well-off Caucasians spent much of their time indoors. Wide-brimmed hats were worn outdoors to avoid altering their pale, nearly translucent skin. By the mid-1920s everything had changed. The poor now largely worked indoors. Leaders in fashion like Coco Chanel and Vogue magazine succeeded in glamourizing the look of bronzed skin. Medical quackery convinced the public that the sun had a healing effect on the body. A tanned physique was now associated with good health. Pale individuals were perceived as sickly looking and weak. Through modern science we now recognize tanning for what it really is: a sign of skin damage. Skin cells that have been compromised by UV rays produce more pigment, achieving a darker skin tone. Old perceptions persist. Many still associate tanned skin with good health. They are attracted to the allure of tanned skin due to cultural conditioning yet probably aren’t aware of the root of their preferences. The tanning bed business is a very profitable one. Marketers know that as long as pop culture icons are tanned, the public will feel compelled to live up to this standard of beauty. Even those well aware of the skin damage caused by tanning beds ignore the “dark side” because arbitrary fashions often trump health concerns. A Woman in her early 20s looks very pleasant as she starts to visit the tanning salon regularly. Complements are rich in supply. Acquaintances inquire if she recently went on vacation, giving her the feeling of elevated status. Initially positive reactions encourage the tanning regimen. She becomes a familiar face to the staff at the local tanning salon. As skin damage progresses very slowly it is harder to notice its accumulation when she looks in the mirror. Over the years the chronic tanner’s skin starts to look haggard to people that she has spent time apart from. Those that were quick to give out complements in the beginning now avoid mentioning anything about her skin. As more years pass and she reaches her mid-40s, her golden skin start to take on a leathery texture. Men once charmed by her beauty now cut conversations short. 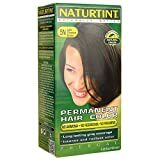 Friends gossip about how she is aging poorly behind her back. Despite the claims of tanning salons and tanning bed manufacturers, there is no distinct advantage to lying in a tanning bed rather than basking in the sun. Tanning beds give off the same UV rays that not only lead to prematurely aging skin but also increased risk of melanoma, the most dangerous form of skin cancer. If you must have bronze skin the only safe way to do it is to pick up a sunless tanning product. Darkening lotions temporarily give you a tanned appearance so you don’t feel embarrassingly white at the beach or during outdoor events.